A CHANCE TO SEE PERFECTION ON STAGE! Please do not arrive more than 30 minutes prior to curtain due to sound check and technical rehearsals. Commemorative T-Shirts and Program Books AVAILABLE! 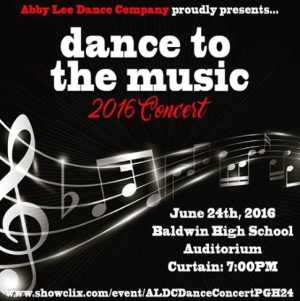 Don't miss out to see the ALDC LIVE ON STAGE!